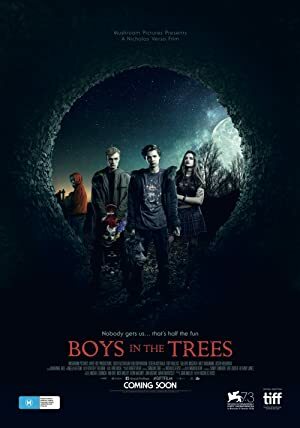 Boys in the Trees (2016) – What's New on Netflix Canada Today! It’s Halloween 1997 – the last night of high school for Corey, Jango and their skater gang, The Gromits. Childhood is over and adult life beckons. But for Corey, his past has some unfinished business. When he encounters Jonah, a former childhood friend but now victimized by Jango’s cruel streak, Corey takes pity on him and agrees to walk him home for old time’s sake. What starts off as a normal walk through empty suburban streets descends into something darker and magical as they tell each other ghost stories, drawing upon their fears of the world around them. As they walk through their memories and ghosts of the past, Corey is surprised to discover how much he still has in common with his abandoned friend. But on the night of the grave’s delight, even the most buried truths will find a way of coming to life.